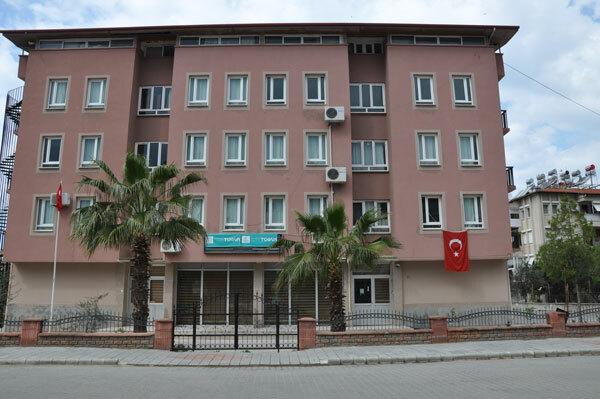 The pro-government Turkey Youth Foundation (TUGVA) has assumed the management rights of the Muğla-based Ahmet Gazi private dormitory, according to main opposition Republican Peoples’ Party (CHP) deputy Ömer Süha Aldan. The four-storey dormitory served to secondary-school students in Muğla’s Fethiye district until it was shut down a week after the July 15 coup attempt over its links to the Gülen movement. The government accuses the movement of organizing the coup attempt. The government handed over the dormitory to the General Directorate for Foundations before it was transferred to TUGVA. “I am aware of the past efforts and the work done for this place. Education circles were looking for ways to use this dormitory for accommodation needs of university students. Public do not have same opportunities with the children of the pro-government spheres,” Aldan told OdaTV online media platform. Established in 2013, TUGVA is managed by President Recep Tayyip Erdoğan’s family and circle of friends and Erdoğan’s son Bilal serves on the Advisory Council board of the foundation. , According to Turkish Minute columnist Abdullah Bozkurt, Erdoğan’s daughter Sümeyye runs promotional campaigns, inaugurating branches in various Turkish provinces.